What’s Going on with the Website Maintenance? Accessing the website today (womenqc.com) you will see that it may be up and running, however the maintenance is still happening behind the scenes. Between now and Monday if the site becomes inaccessible – don’t panic, just check back periodically. The maintenance will be completed no later than Monday, Sept. 17th. Our summer programs have given you fashion and makeup tips. Now it’s time to turn attention to your home. Lily Guthrie will give us all those creative ideas we need to liven up our homes – sometimes with simple changes. Join us at the Madera Clubhouse Ballroom for the September 24th program at 6:30 pm. Hardy Shouts of Cheers and Congratulations! 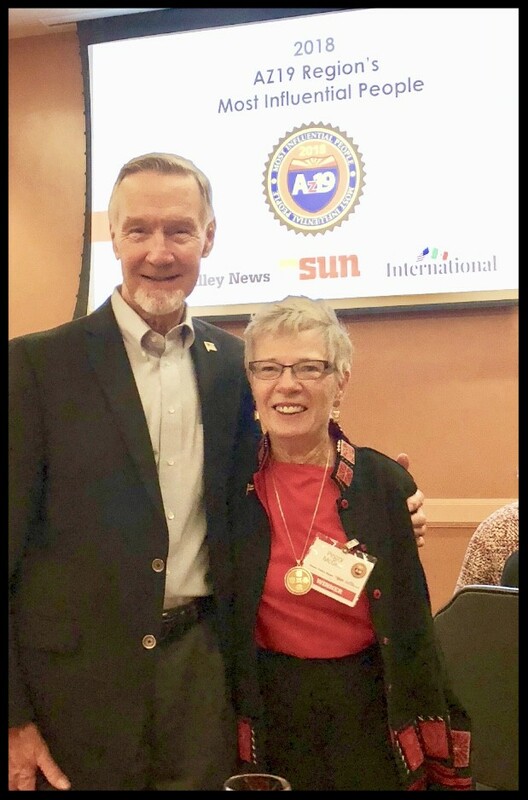 Peggy McGee, former President of TWOQC, and husband John are among a distinguished group of 23 to receive the AZ19 award for most influential people. Awardees were selected for their ongoing commitment and support to communities spanning the I-19 corridor from Nogales to Sahuarita. Recognition and awards were presented on September 11 during an inspiring and uplifting program at the Desert Diamond Casino. CONGRATULATIONS, PEGGY AND JOHN! A link to additional photos will be available next week on the website’s Photo Gallery page. Hola, Chicas! We have sold over half of our seats for the October Membership Fiesta Luncheon! Get your seat reserved by contacting Janice (events@womenqc.com) until Friday, September 21st and at September’s program on the 24th. There are still a few tables for ten left and scattered seats throughout the ballroom. No matter where you sit you will enjoy the lively and melodic rhythms of the Mariachi’s. Seats for the luncheon will be sold at the rear of the hallway. Be sure to get you reservation in soon. Lunch features a Mexican salad with multicolored tortilla strips followed by Mexican wedding cookies for dessert. Luncheon begins at 12:00 and the program starts at 1:00. Come early (bar opens at 11:00) and schmooze! Visit with old friends and meet someone new! Our 17 patriotic writers have contributed 414 letters for Mail Call on Honor Flight #25’s return trip from Washington DC Sept. 24th. What a blessing it is for them to know that they are remembered and appreciated for their service. Click this link for information about the flight plans and try to meet them at TIA (Tucson International Airport). It is always recommended to check the Honor Flight website before leaving for the airport in the event there are any flight changes. The Women of Quail Creek are grateful to the Quilt Covey for donating 23 beautiful quilts for our veterans. 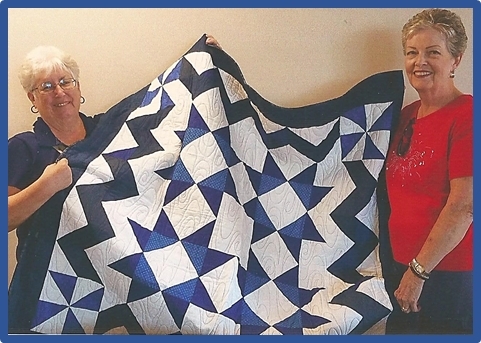 Jeanne Stevens and Ann Nease distributed the quilts during the pre-flight orientation. 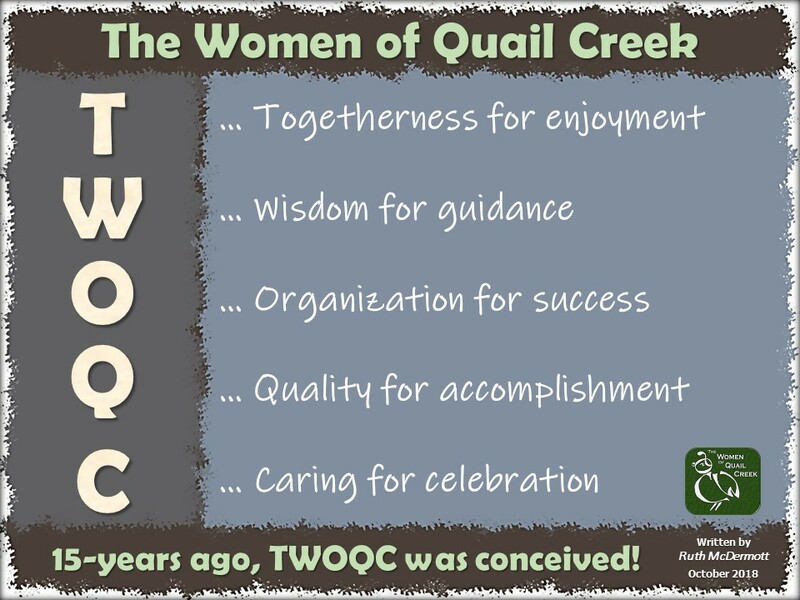 This is the gala fundraiser for TWOQC scholarships… and it will soon be here! The Scholarship program has garnered much interest and grown steadily since its inception. We could not accomplish our goals without a strong partnership with you. Thank you for enthusiastically supporting our fundraising efforts. Your participation in Oktoberfest, offering change for our piggies, purchasing 50/50 raffle tickets, purchasing merchandise including Pilsner glasses is what creates a scholarship. Thank you for your continued support. 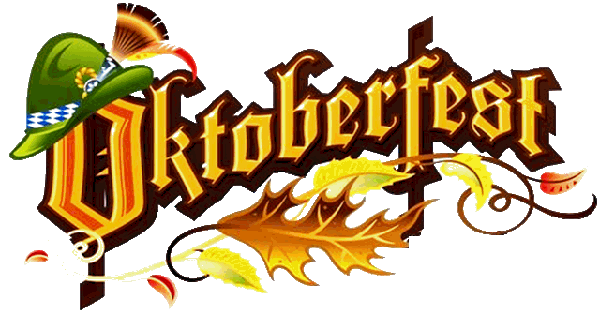 Oktoberfest Tickets … Going Fast! As of noon yesterday there were only 24 tickets left for Oktoberfest 2018. You don’t want to miss out–good food, fun and terrific raffle prizes and baskets for which you must be present to win. The 50/50 tickets are also being sold (get them in advance by contacting Peggy for “sale” dates-see below) and you do not need to be present to win the “prize pot”. TICKETS: There is only one full table of 10 left. Procrastinate no more. If you are seriously interested in attending, contact Peggy ASAP: positivelypeggygv@gmail.com or (520) 207-6188. Leave a message if no answer and she will call you back. Cash or checks only payable to TWOQC Charity Account. Can’t make it to Oktoberfest? We accept donations! 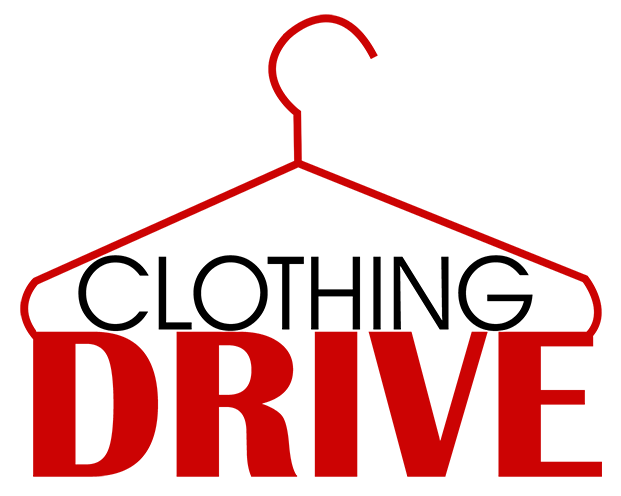 Saturday morning, October 20th, from 9:00 to 11:00 a.m. TWOQC will hold its annual clothing and household goods drive for homeless veterans. Please drop off items that morning in the parking lot between the Creative Arts & Technology Building and the Madera Clubhouse. Now is the time to get busy and help homeless veterans with items you no longer wear or use. Volunteers will be accepting cold weather clothing. Please make sure your donations are new or gently used, clean and in good repair. Small household items, linens and travel size toiletries are also needed. All donations are appreciated, but there will be no pre-inventory or storage of donations before the event. If you are unable to bring your items to the October drive or you are leaving town before the event, ask a neighbor or friend to store and deliver them. Questions? Contact Anne Smith clothingdrive@womenqc.com. 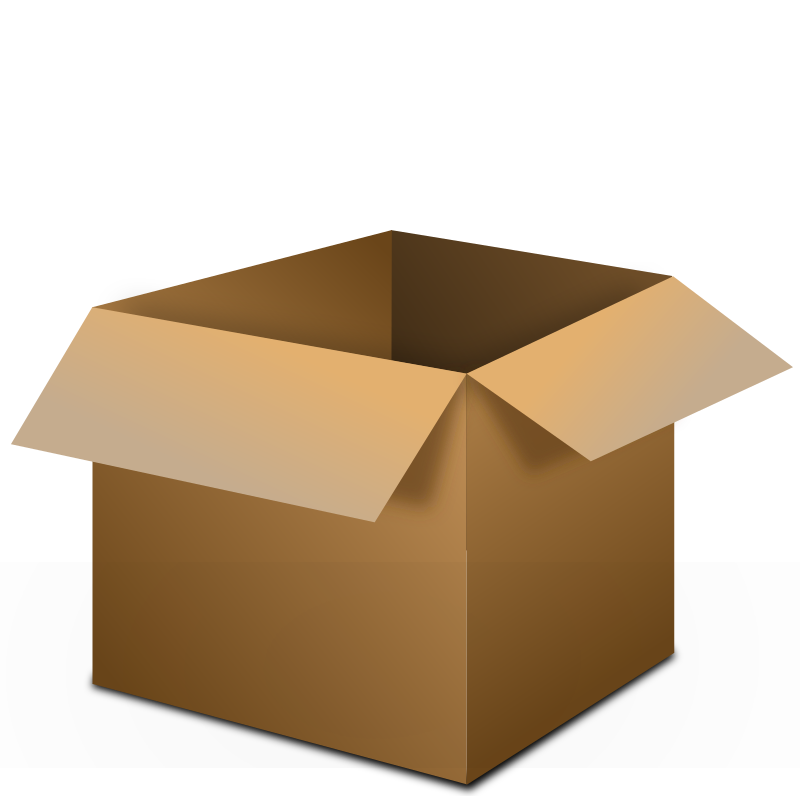 If you have small to medium-sized boxes (approximately 16” X 12”), we are eagerly collecting them now for donated items at the Clothing Drive, October 20th. We will gladly pick up your flattened boxes for storage until the event. In addition we are in need of a few wardrobe boxes with bar. To donate boxes, please call Bobbi Gordon at (520) 625-9353, Pat Neel at (520) 625-4476 or Mary Lehman at (520) 399-0707. Thanks for helping out! Have Fabric Wine Bags from Local Grocers? GIVE THEM TO A GOOD CAUSE! If you buy wine from either Fry’s or Sprouts, then you have probably gotten wine totes to help you transport your purchases. Youth On Their Own can use those totes. They make a great tote for students getting supplies of food and toiletries from the YOTO mini-mall. 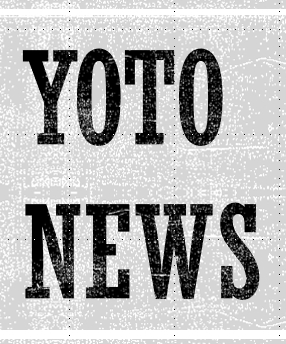 Fry’s and Sprouts won’t take them back (we checked) so why not bring them to the September program and the YOTO Committee will make sure they make it to Tucson. Getting Holiday Ready: Are You Looking Forward to “Ladies Night Out”? Be among the first to get your TWOQC “members only” ticket to Ladies Night Out, November 12. Tickets are just $5 and will be sold at the September program (cash only, please). What is Ladies Night Out, you ask? Stay tuned for more info about the best $5.00 deal of the fall! Thank you to 9/14/18 FMM contributors: Marilyn Beim, Marianne Cobarrubias, Peggy McGee, Janice Messer, Janice Pell, Diane Quinn, Kay Robinson, and Anne Smith. Due to a hiccup in the website maintenance that began Sept. 10, 2018 — last week’s FMM is piggybacked (below) to this week’s Sept. 14th FMM for archival purposes. Next Monday (September 10th) the website will be inaccessible while maintenance is being performed. The process will begin late Monday morning and may take up to several days to complete. Once the website is accessible again we will notify TWOQC members via email. Thank you for your patience and understanding. The Board is searching for members who have a background in current tax policy and/or experience working with charitable organizations or foundations. We would like to have coffee to talk about these topics as they relate to TWOQC and our charity work. 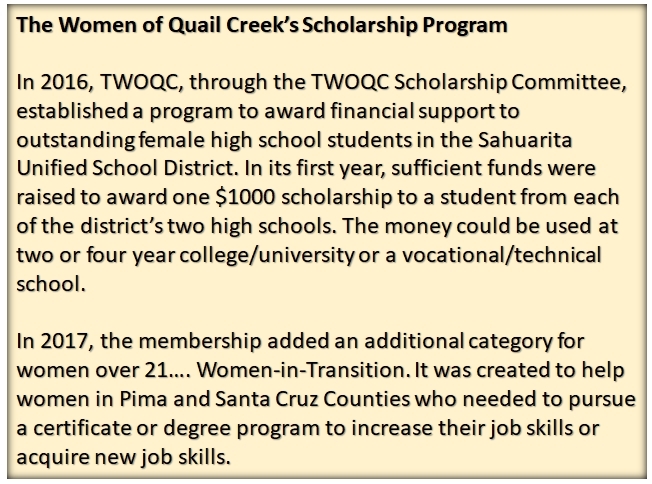 Please contact Pat at president@womenqc.com. September 7 (TODAY!) … 4:00-6:00 p.m.
September 11 … 10:00 a.m. – 12:00 p.m.
September 21 … 5:00-6:00 p.m.
September 24 … 6:00-8:00 p.m.
September 30 … 10:30 a.m. – 12:30 p.m.
October 5 … 5:30 p.m. – 7:00 p.m. Note: The pilsner glasses are being sold “pre-paid”. Watch the Friday Morning Messages for updates when merchandise or event tickets are “sold out”. The 2018/2019 Kino Lecture Series kicks off with “From Tucson to the Top of Mt. Everest: Dr. John Klein’s Odyssey”. The lecture is open to all residents and everyone is welcome. Honor Flight #25: “Wheels Up” Soon! 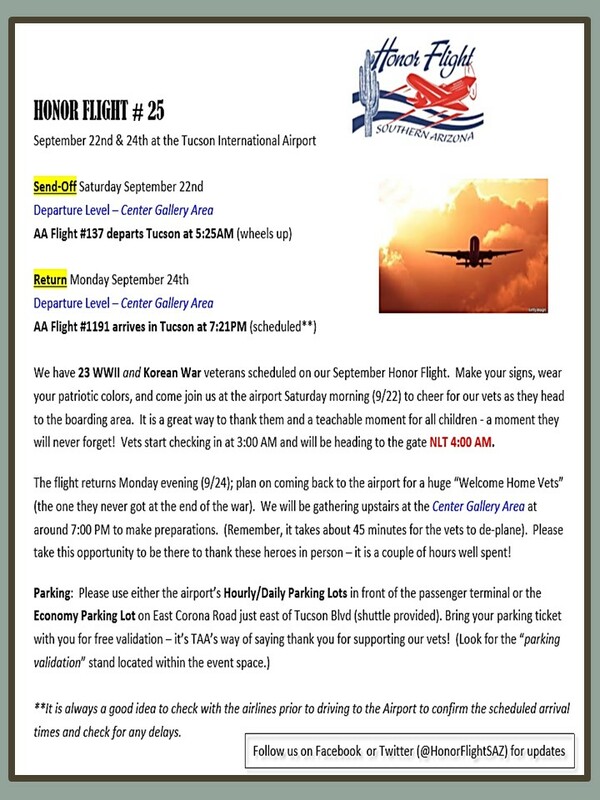 It’s “Wheels Up” early Saturday morning, September 22nd for Honor Flight #25. The flight departs from Tucson International Airport at 4:00 am carrying twenty-three WWII and Korean War veterans. They are bound for Washington DC and a special excursion to the war memorials. Early birds set your alarm to give them a great send-off at the airport. Or, welcome them on their return Monday, September 24th at 7:21 pm. “Thank you” to the 9/7/18 FMM contributors: Marilyn Beim, Marianne Cobarrubias, Kay Robinson, Julie Woodard.